I love soup, and nothing is better then homemade tomato basil soup. I ran across this easy homemade basil soup over at “The Budget Diet” and had to give it a try. This is suppose to be a low fat version of La Madeleine’s tomato basil soup, and tomato basil soup is one of my favorites. I changed the ingredients up a bit, so here is my version. Add all ingredients to a large pot, blend well. Heat on medium high till soup starts to boil, then turn down heat and simmer on low for 30 minutes. This version of La Madeleine’s tomato basil soup turned out pretty good, but there’s one change I will make the next time I fix it. Instead of using a can of tomato soup, I will replace it with a bottle of tomato juice. Here is the original recipe by The Budget Diet. I bet this soup would be even better with fresh tomatoes and basil. This looks SO yummy ! I love tomato soup; so I will definitely be adding this to my list of recipes to make when fall comes! I wish my husband like tomato soup! I may just have to make it jus for my self! Your husband doesn’t know what he’s missing. I would make it and eat on it all week. Oh man, I LOVE tomato basil soup. It was my go-to lunch in high school and college. We’d go to Bruegger’s Bagel shop and get a bagel and tomato basil soup. I need to make this! It’s the perfect soup combo. Brooke Knipp recently posted…Coach Your Life: Listen Up! Literally, We’re Talking about Listening. I love tomato basil too with grilled cheese sandwich. Yum! Haven’t had a Bruegger’s Bagel before but I bet that’s yummy too! This reminds me of fall time. 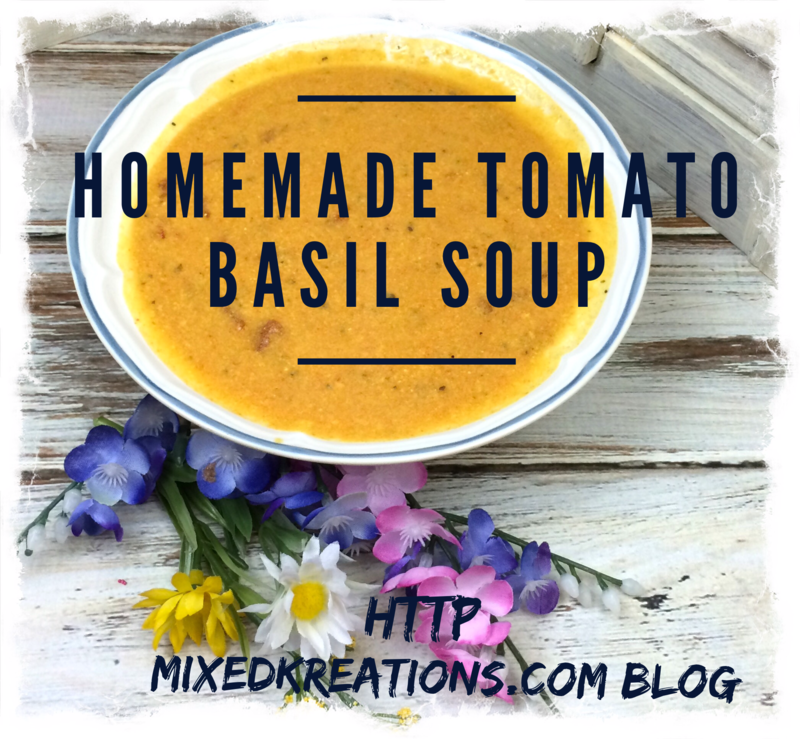 I have never tried tomato soup, but I love tomatoes and basil…so this sounds like it may be a winner. I need to try this! What never tried tomato soup. Tomato is one of my favorite, you got to try some.